Barcelona is one of my favourite European cities, mainly because it has the best of both worlds: city and the beach! That’s why in my opinion it’s best to visit Barcelona in the warmer months and to go for maybe 4 days so you can have a bit of a relaxed city break with beach pitstops. But, where are the best hotels in Barcelona? Well that depends on what you want from your weekend away in this gorgeous city! When thinking about where to stay in Barcelona you need to think about which parts of the city you plan to explore, do you like being right in the centre of it all or do you prefer a quiet neighbourhood? Do you like being able to walk pretty much everywhere from your hotel and do you want things like a good restaurant or rooftop pool? For me, when I’m planning a city break, I want my hotel to be central, in a cool neighbourhood and be good value. Why? Because I’m usually only there for a long weekend and I so rarely use the hotel’s amenities! I like to save luxury hotels for when I’m away for longer. 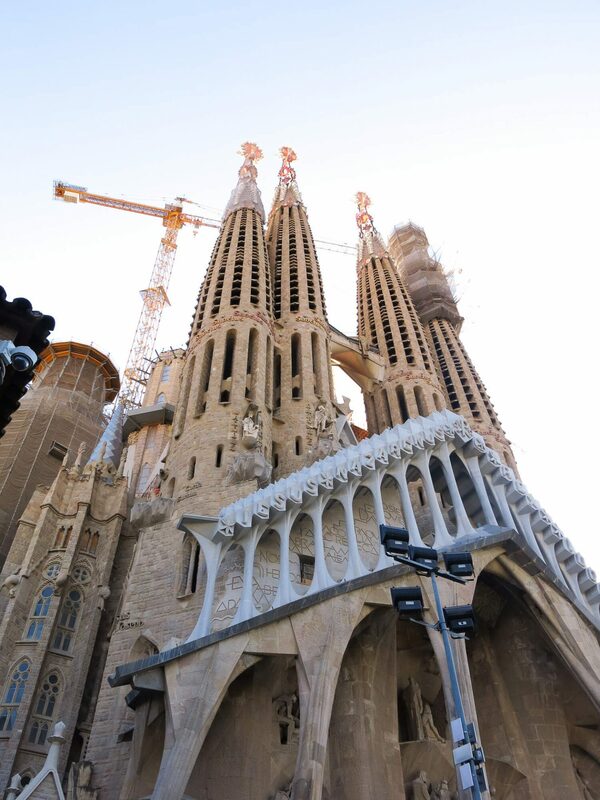 There are lots of great hotels in Barcelona, and some incredible boutique hotel choices. And like most European cities, in Barcelona location is everything. But, we found hotels in Barcelona to be quite expensive and really struggled to find something central that wasn’t a dive or over £200 a night! 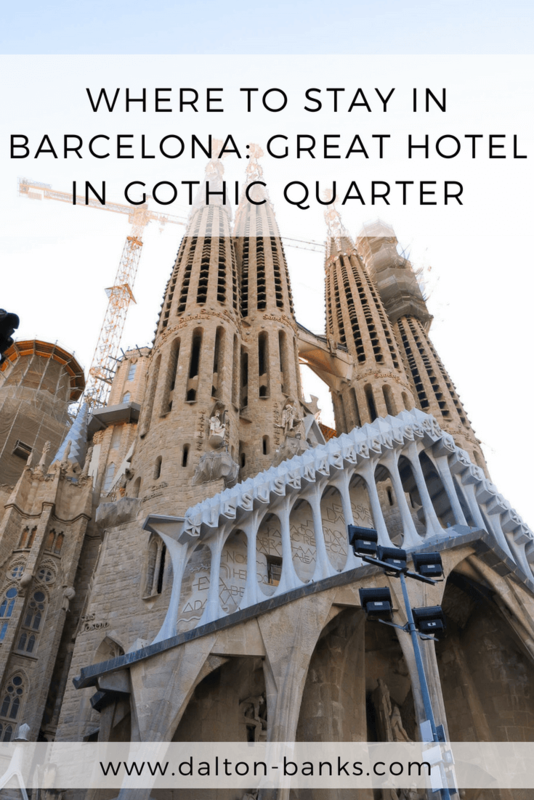 In my opinion, the best places to stay in Barcelona are the Gothic Quarter or El Born. This is because the areas are full of great restaurants and bars, they are central but also walking distance to the beach. 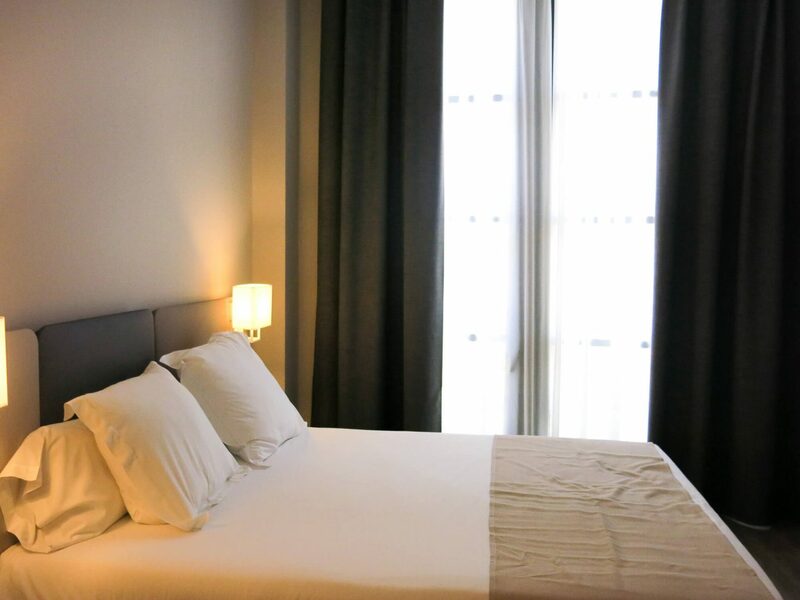 On this trip we decided to stay in the thick of it in the Gothic Quarter as we found a gem of a hotel – May Ramblas Hotel. As usual we planned and booked our holiday to Barcelona all very last minute! It’s how we roll. Because of this there wasn’t many affordable hotels left. I really had to get my hotel search on. I knew I wanted to be in the Gothic quarter and not pay a fortune so this refined the search a lot. I came across May Ramblas Hotel but soon realised that it had only been open a few months (at the time of our visit) and so there were only a few reviews. This always makes me nervous. But it really was the best hotel I could find for our dates and we thought why not, we’re only really going to be sleeping there. Let me tell you – it was a great decision! Why was May Ramlas Hotel so perfect for us? Well our daily routine looked a little something like this. We would have an early morning start and get out to see the main tourist attractions to avoid the queues. Then we wandered the streets taking photos of the awesome architecture and finding some tapas for lunch. By mid afternoon we’d make our way down to the beach for a little siesta and dip in the sea to cool off! Afterwards we went back to the hotel and got ready for a night of more tapas and cocktails! Not a bad routine at all. 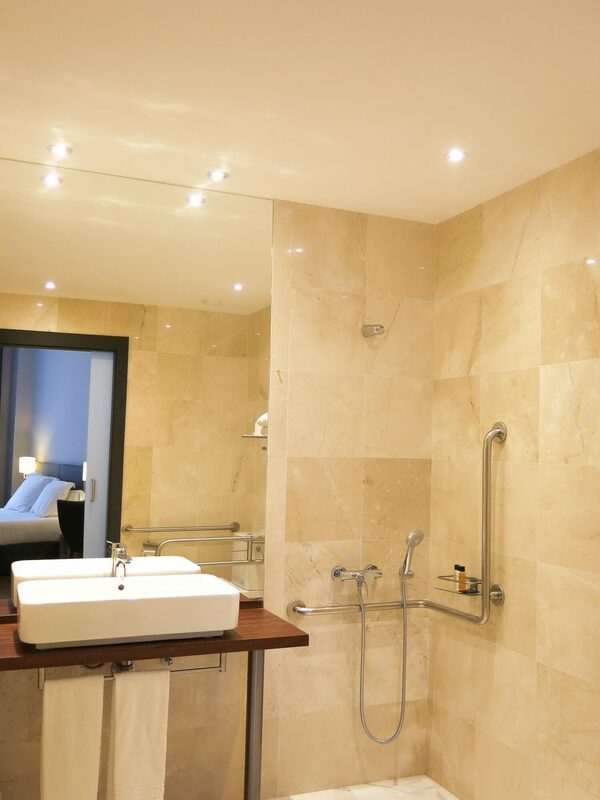 May Ramblas Hotel is located about half way up the Ramblas and just one street off it, on the Gothic Quarter side. You are minutes from the famous Mercat de la Boqueria and also the beautiful Plaça Reial. You are also right next to Liceu Metro stop. It really is a great location. There is a small reception area as you enter with a 24 hour manned desk. The staff were helpful and friendly when asking about the best way to get to places and how to buy tickets for certain attractions. The hotel is simple and small. There is no restaurant or bar, so having breakfast included is not an option. But for us this is just what we wanted for a long weekend in Barcelona. We didn’t want to pay for extra frills. We booked a superior double room and we loved it. 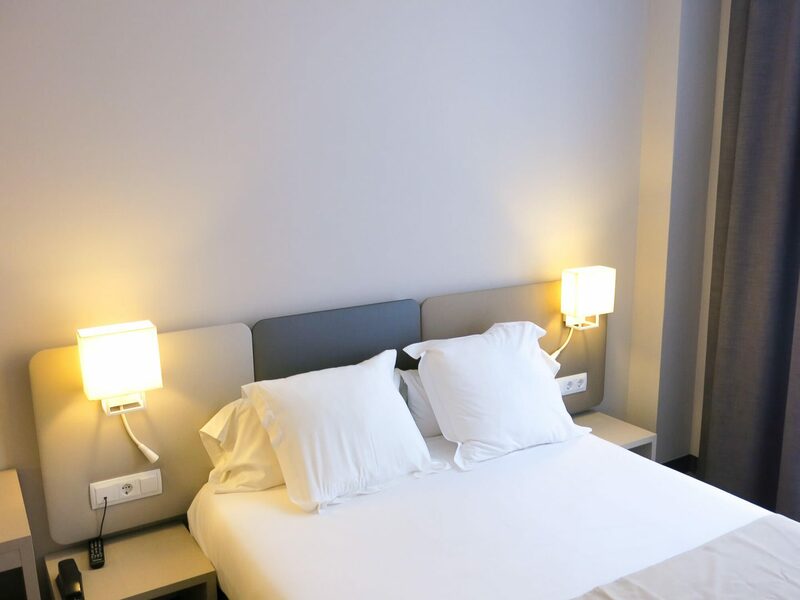 The rooms are simple, stylish and spacious and all are air conditioned (which is crucial if you’re travelling to Barcelona in the Summer!). The bathrooms are big and clean and the bed was comfy. It was exactly what we wanted! Some of the rooms also have terraces, which would be lovely, especially if you were to buy food from Mercat de la Boqueria moments away. There are small fridges in the room so you can keep snacks cold or a few beers to enjoy after your siesta! Yes, there is a little noise at night, but having stayed in Barcelona before and in fact as with many European cities, if you stay in the centre, you can usually hear street noise at some point. But it did not disturb us. 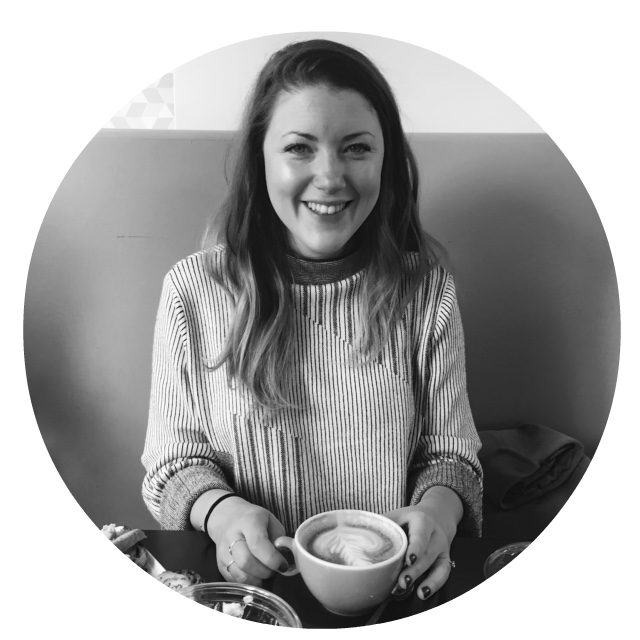 Reasons I love Barcelona and why I think you should go – great bars and restaurants all over the city, incredible culture and architecture and an awesome beach culture too. I already can’t wait to return! Have you been to Barcelona? Do you have a favourite neighbourhood to stay in?